Do you like Pymp? Share it with your friends. Pymp is a very catchy 3D sensation game in which two game modes are ready for you, and the second mode will be unlocked after you reach level 5 in the first mode. 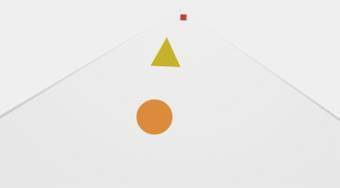 Move with the orange ball on the board, avoid the red cubes, collect the yellow triangles and try to get as far as possible.